This Very Berry Jam recipe with Flax & Chia is super simple to make and tastes delicious! Perfect to keep in your fridge but can also be made up into jars to give out as personalised gifts or favours. Place berries in a pan with water. Melt over a low heat, occasionally stirring until they turn into a chunky puree. While they are softening, add the vanilla, Flax & Chia and honey. Taste and add more honey if needed. Remove from heat and cool for 10 mins. 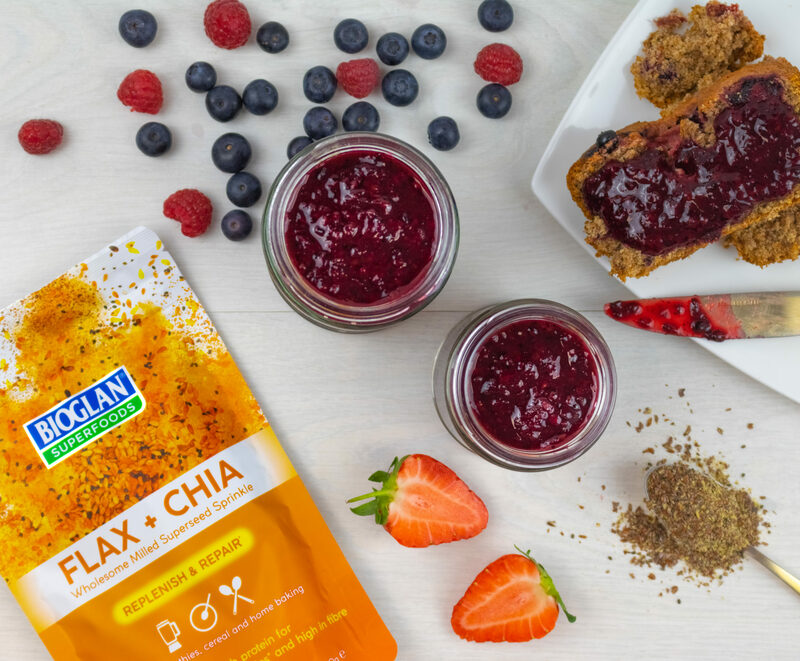 Stir once or twice to keep the Flax & Chia mixed in. Transfer to the jar and refrigerate until cool and set.